A fantastic journey through the magic of the deep blue sea! Let yourself be amazed by little schools of fish that swim right into your living room! See squid and the elusive octopus up close, along with the magnificent manta ray, and experience dolphins and turtles that visit you in your living room. 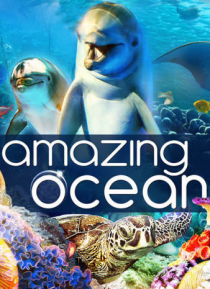 Amazing Ocean, is a breathtakingly beautiful experience for your whole family.